At Agave Chiropractic, we offer a very specialized treatment called Cox Flexion Distraction. Dr. van Berkel is one of few chiropractors in Phoenix certified by the developer of this technique. It is a means of creating decompression of the low back discs. 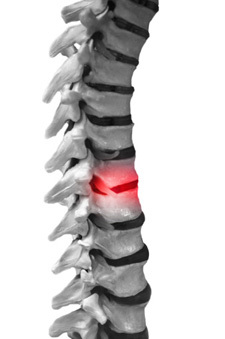 Lumbar discs are naturally prone to bulging, herniating, and degenerating due to the tremendous compressive forces and sheer stresses placed upon them on a daily basis. The movements of this table help traction the spine, opening up compressed spinal discs and reducing pressure on nerves which exit the spine. We have seen amazing results on patients with severe low back pain as well as leg pain (sciatica) and leg numbness using Cox Flexion Distraction. We have seen a number of patients be able to forgo their scheduled low back surgeries and go on to live a pain free and fully functional life by using this specialty technique. Is Cox Flexion Distraction appropriate for you? Just contact us to make a consultation appointment and Dr. van Berkel will take his time to go over your case history and review your diagnostic examinations such as x-rays or MRIs with you.